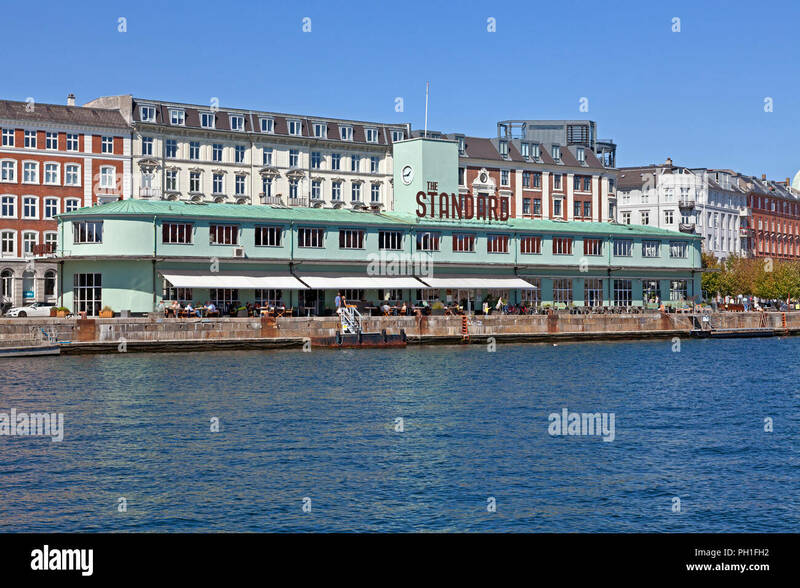 The Standard, a restaurant complex on the Havnegade quay, Copenhagen. The building from 1937 was used by ferry services to Sweden and as custom house. Built 1937. The building style is functionalism and the original architect was Kristoffer Nyrop Varming, the building has later been restored. At a time it was nicknamed the pencil case. Has through the years besides the customs services and ferry services also housed several restaurants and a jazz venue, etc. Presently the building houses two restaurants almanak and STUD!O (started by Claus Meyer and partners).